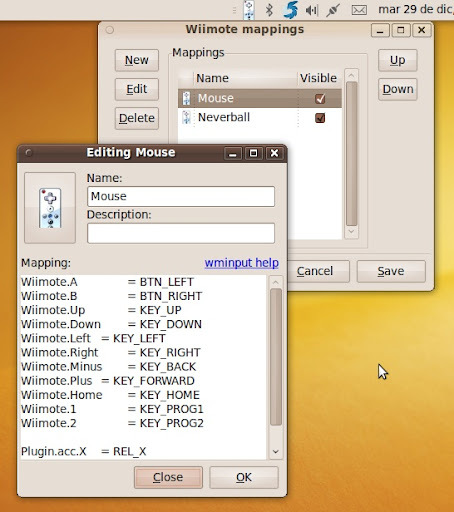 Félix Ontañón, a very good friend and hacker from my company, has just released a new versión of a systray application which help to configure and manage the Wii remote control on Linux. The application is called WiiCan and is hosted on Launchpad. The project has been programed in Python and it uses D-Bus to connect with hal (by now) and bluez for tracking the available bluetooth devices and wiimote connection status. I haven’t tryied the application because I haven’t got any wiimote, but some friends have already tested and they’ve told me that it work great, and they are very happy with the tool. So I’d like to invite you to test it and share here your experience. And also I’d like to invite you to colaborate with the project, reporting bugs, patches and translations. Is GNOME 3.0 for users or developers? I’m the first thinking that the old traditional desktop is that, old. And we need something new. I like things I see about GNOME Shell and so on, but I’m a geek! I mean, I do use virtual desktops or spaces, but I like to mess with my system and I always have running my Guake terminal. That was cool, but I don’t really see much people using those effects nowadays… Ok, transparency and smoothness on windows stuff, is used, but no much more. 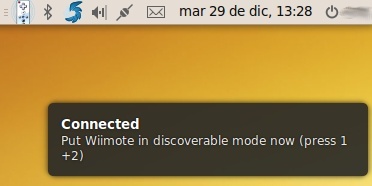 So now people who are thinking on the next release of their distros for non-very-tech-users (like Guadalinex), are a bit afraid to be forced to use a very new concept, which is cool when you are geek or somebody teach you about it. To upgrade a few thousand of users to a very new desktop concept is a quite hard challenge… Even having a helpdesk services, online documentation and forums. I just hope those new concepts be really easy to catch or somebody make any kind of “first use lesson” for them. Actually, for regular end users I think I prefer something like Litl OS or Chrome OS. That is a change of concept, but into something they already know: the web. And also the mediacenter and web interfaces. Posted on December 10, 2009 December 11, 2009 Categories distros, gnome, guadalinexTags gnome, gnome 3.0, gnome shell, usability8 Comments on Is GNOME 3.0 for users or developers? I’ve been in Caceres (Extremadura) the last three days attending the “Conferencia Internacional de Software Libre” (International Free Software Conference), one of the biggest FLOSS events in Spain. It was a very intense days and I met a lot of friends and new interesting people. But also was held there the GNOME Hispano meeting with people like Carlos Garcia Campos (aka Kal), Álvaro del Castillo (aka acs), José Ángel Díaz, and others gnomers. My talk was about how what developers make can be affected by changes on the distribution or by third party people who need to integrate their software with the desktop and more software. We were also talking about the very end users and how is more important to them some small and silly bugs than the next big and fancy feature. We’ve learned from the experience of thousand of users in Extremadura (GNU/LinEx) and Andalusia (Guadalinex) that the very end users (people from little villages, childrens, old people, and so) don’t care so much about the new fancy stuff but they really do care about crash when they try to perform an email search on Evolution or some dialog is untranslated.